Veteran readers of this blog (all three of you) know that I am a big-time Derek Trucks fan. My proclivity for the blues, particularly the slide variety, has led to a belief that Trucks is the greatest living guitarist. He wields his instrument as an extension of himself in a way that’s unlike any other artist that I’ve had the pleasure to witness first hand. 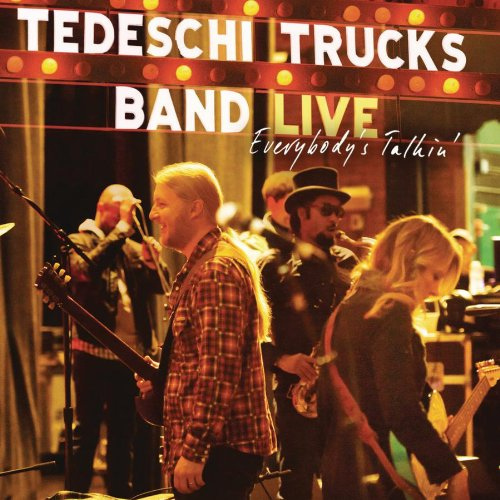 Below, watch Tedeschi Trucks Band‘s rendition of the Harry Nilsson classic “Everybody’s Talkin’.” The song is featured as the title track of the band’s new live album, released today. Grab tickets to Tedeschi Trucks Band at Murat Theatre on May 30 in Indianapolis.